companies, which includes PCI Pal and Wallarm. achieve a 40-percent reduction of digital distractions in just 60 days. 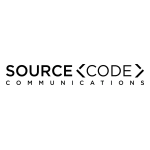 “Early on, we knew that SourceCode could be the right partner for us. as an Outstanding Boutique Agency of the Year from PRWeek. technology, mobile and telecommunications and financial technology. Best Places to Work. For more information, please visit www.sourcecodecommunications.com.